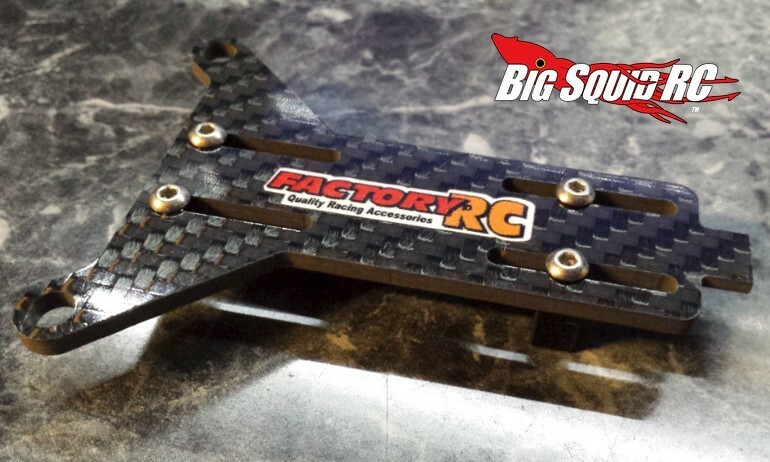 Factory RC Shorty Battery Brace for the Associated B5M « Big Squid RC – RC Car and Truck News, Reviews, Videos, and More! New from Factory RC is a Shorty Battery Brace for the Associated B5M. The brace uses battery stops to hold your shorty pack in place instead of foam blocks. Made from carbon fiber it looks high-zoot and should be plenty strong to withstand big hits. The brace is priced at $24, its part number is #FRC005, and they are shipping right now. Click Right Here for more details over on Factory RC’s website. Big fan of the Associated B5M? Check out This Link right here on BigSquidRC.